Tools can function properly if they are properly maintained. To increase the longevity and get most out of the tools, it is necessary that a proper maintenance process is followed. All mechanical tools, including power tools, such as angle grinders, are subject to wear and tear. Preventive maintenance can make a lot of difference to the way the tool functions and you can optimize tool performance to the maximum. Angle grinders are handheld power tools used mainly for cutting, grinding and polishing. 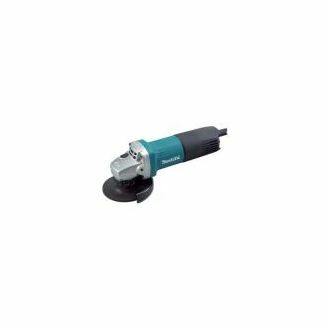 These grinders use abrasive discs for polishing and cutting. Let's have a look at some quick tips about maintaining angle grinders. · Keep your tools clean: It is important to ensure that tools are kept clean so that you can get the job done easily and without any hassle. Tools, if unused for a longer duration, gather dust and can become clunky and harm the tool. Blowers can become handy in blowing the dust off the tools. It is necessary to clean the tools after using them. The inlets and outlets of grinders often get blocked due to dust accumulation and hamper tool's performance. Therefore, it is essential to keep the machine clean. · Check electrical cables for power supply: Power cables should be checked for wear and tear regularly. For superior performance, it is necessary that electrical cables are in good shape and avoid using the angle grinder when the voltage is low. It not only damages the motor but also heats up the angle grinder. Angle grinders with the damaged power supply cable can prove to be hazardous to the user resulting in electrocution and even death, in extreme cases. · Choose right size discs: Always follow the manufacturer's instructions while choosing the disc size for angle grinders. Using discs with bigger size can be detrimental to the angle grinder and harm the motor. The spinning wheel of angle grinder would not work efficiently if wrong sized discs are used. · Handle the tool carefully: For better shelf life, it is essential that power tools such as angle grinders are handled with care. Avoid placing the grinder near water or moist surfaces. Make sure that the tool is not kept idle for a longer duration. Popular Power Tools Brands How To Choose The Right Grinder?